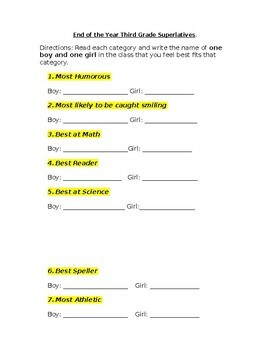 Students get the opportunity to vote for their classmates in various categories. This is a cute way to end out the year and ensure everyone is recognized! This can be edited based on grade level. This activity was completed with 3rd grade students.